We offer coaching to transform talent and develop leaders. Our purpose is to help individuals fulfil their potential through inspiring coaching. We give people the space to think differently and enable self-discovery. This grows authentic leadership and enhances performance. The outcome is measureable success for individuals and organisations which delivers real return on investment. At Talent Tree we are especially passionate about coaching female talent. Our aim is to develop, engage and empower talented female leaders at all levels to enable them to have successful careers. In this way we help organisations create robust succession pipelines, more diverse leadership teams and female role models for the future. In particular we specialise in women in STEM. Our coaching takes a person-centred approach. When working with organisations our coaching is focused on the individual and aligned to the organisation to ensure a successful outcome for both. Line managers are a key part of the process to provide support and integration during and after the coaching. We believe strongly in coaching the whole person to ensure balance is maintained within their life. Our approach draws upon positive psychology, strength based coaching and neuroscience. We also explore emotional intelligence and offer MBTI psychometric profiling. A variety of tools, models and exercises are used to develop self-awareness, insight and action. We work with clients to transform their thinking, building momentum for change and sustainable growth. Our style is supportive, yet challenging to break down limiting beliefs which enables personal and professional change. This all takes place in a confidential, safe and non-judgemental environment. We help develop high performance and authentic leadership, focusing on confidence, capability and leadership style. We work with all types of leaders from executives and senior managers to future leaders with high potential. The one to one coaching focuses on driving change and creating new insights. We challenge thinking, maximise strengths and improve working relationships. Self awareness is further developed though 360 feedback and optional MBTI and EQi-2.0 assessment. Our structured coaching framework means that outcomes are measured, progress is maintained and return on investment is delivered. At the start of the programme we meet together with the line manager to set overall goals that align with the business. At the end of the programme we hold a triad meeting with the line manager to discuss progress and outcomes. This includes an action plan to work on after the coaching programme has finished to ensure sustainable development. In addition to our leadership coaching, we help female talent develop self-awareness, confidence and resilience in order to succeed in their careers and progress to new roles or the next level. We work on maximising impact and presence, creating an authentic brand, building effective networks and breaking down barriers to career progression. Developing stakeholder relationships, engaging sponsors and working in a male dominated environment are also themes we explore. We aim to empower female talent to stretch themselves and achieve their potential, whether gaining a leadership position, a role on the board, a sideways move or making a success of their current role. We help women running their own business to define their vision, identify their goals and strengths and grow their business. We help clients to effectively balance the demands of work and personal commitments. We also help female entrepreneurs to develop self-awareness and leadership confidence to ensure success. As a result individuals are able to stretch for new possibilities and come up with creative solutions. We work with clients to support authentic career progression, define what success looks like for them and develop confidence to enable the transition. Thinking is stretched and limiting beliefs challenged to enable individuals to effectively make the jump. Self-awareness is developed around what is going well and areas where adjustments need to be made. Behaviours and habits are developed which will help achieve sustainable success. Having had the pleasure of working with Amy for a year now, I have been amazed at the transformation in our leaders in Halfords. Amy has a warm and engaging persona, which makes her a great coach and leader of people. I would highly recommend Amy to anyone looking to make a measurable difference in the talent of their organisation and I look forward to working with her in the future! The coaching sessions have had a profound impact on the way I think at home and work…Identifying my excelling strengths has been invaluable to me. I believe the business has benefitted hugely from my development as I have a more rounded and even style… Amy has been brilliant throughout all of my coaching sessions! She is professional and supportive but is also challenging and thought provoking. Amy has really helped me to understand how to get from good to great! My confidence and self belief about my own and Halfords goals have been cemented well and truly. I believe that I am in a better position to make the best of our future. This feeling clearly permeates into my working environment and gives me licence to do what I do best each day. Amy has facilitated an environment that has made me look at who I am, what I do and why I do it. I have never failed to walk away from a session without wanting to go back to the next one. So in summary, undoubtedly a game changer for me. The same people, environment and world that I was in before I met Amy. I just look at it all a bit differently now ! Amy put me at ease on the very 1st session working through personal and professional challenges. I am familiar with being the listener and initially being the talker felt very different for me…….. However the benefits of this really have really opened my eyes. Amy has a natural way of probing and asking open ended questions, she really got me to open up to her on a personal and professional basis something that very few individuals I have encountered have been successful at doing, Amy achieved an insight in to me as an individual and in turn this made me challenge areas of my life I wasn’t satisfied with. Amy has a gift and uses it so well. I can honestly recommend Amy Elworthy and the “Leadership Confidence” coaching programme as being a journey of self-learning, insightfulness, challenging, focused and motivating. It’s a unique chance to look in the mirror at your personal and professional life and identify and address areas that you are not satisfied with and maximise your potential. I can not recommend Amy Elworthy’s “Leadership Confidence” more. I have genuinely enjoyed the time we’ve spent and the journey it’s helped me on. As a leader this has been a unique opportunity to STOP and challenge myself both professionally and personally. Amy’s style has made what in some parts was quite a challenging conversation with myself, very warm and insightful. Amy is the third coach who I have seen, and the first one that has made a difference. It is hard to put into words the impact these sessions have had on me. It has made everything ‘click’ for the first time. I finished my sessions with a very clear understanding of what is important to me. In helping me define and develop my personal values, Amy has given me a gift which will guide me for the rest of my life. My confidence and willingness to take risks at work has improved enormously. I cannot thank you enough Amy and would not hesitate to recommend you to others in the future. Amy is an inspirational and insightful coach, who has the ability to help you find the challenges that you are facing in a very natural and encouraging way. Amy is a pleasure to work with and I hope that we can work together again soon. I love the environment Amy creates and how she combines her relaxed, disarming style with integral questions and incisive analysis. She’s been invaluable in helping me create a better balance between my work and family life. She has helped me find ways to boost my confidence and discover a framework of values that provide context to my day-to-day business decisions. I’ve been amazed at the wonderful benefits coaching has brought to my life and business. Working with Amy has been a true inspiration. Amy has a post graduate, Level 7 ILM qualification qualification in Business Coaching from Chester University which provides accreditation with the International Coaching Federation. 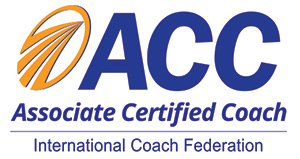 She is an ICF credentialed coach, and has been awarded Associate Certified Coach (ACC) status. She is also a member of the National Council of Psychotherapists and the Chartered Institute of Personnel and Development. Amy is an MBTI and EQi-2.0 practitioner and is CIPD qualified with over 16 years experience in talent management, coaching and leadership and performance development. Amy’s experience includes working in large corporate environments including management consultancies, retail and banking as well as in media businesses such as advertising agencies. 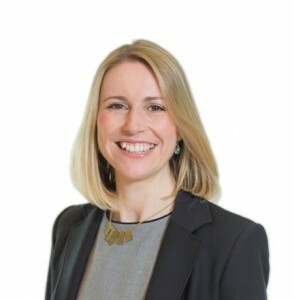 She has worked for companies such as Accenture, Royal Bank of Scotland, Halfords and The Red Brick Road and charities such as The Brilliant Club. 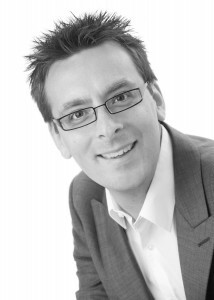 Matthew Radley is focused on driving organisational performance through a person-centred coaching approach. His determination to create ‘True Leadership Confidence’ that benefits both the individual and the workplace is what he is famous for. Working throughout the UK and Middle East he continues to make a positive difference to his clients using a well-honed ‘partnership’ approach. Working with Executive teams, Senior Leaders and high-potential leaders in organisations across the Retail, Travel, Healthcare, Charity and Education sectors on their development journeys to potential is the core of his work. Clients include: Alliance Boots, Boots International, Tadawi Healthcare, National Trust, Virgin Media, RNIB, Academy Trusts, Heathrow, Net-A-Porter, The Exchange Lab. ©2014-2018 Talent Tree Coaching. All Rights Reserved.